See Mermaid Dalni at Pirates Park, as part of the Maritime Festival July 29th, 2017 from 10 am to 2 pm! 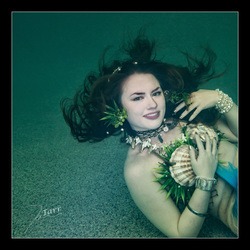 Mermaid Dalni, also know as Danielle Ross, is a professional mermaid model, performer, and entertainer. She specializes in underwater performances, dry events and appearances, children's parties, and volunteer opportunities. She also runs Dalni Tails, a manufacturer of realistic silicone mermaid tails, tops and accessories. Her mission is to protect the worlds oceans through conservation and education. She believes in promoting creativity and imagination in children to encourage them to create a better future. We believe in creating a magical environment for people of all ages at our events. Anyone ages 1 to 100 will enjoy having a mermaid make a splash at their next event. Even if there's no water nearby, Mermaid Dalni can still make a visit. She is dedicated to volunteering with children to spread facts about our environment and what we can do to keep our world, and it's living creatures healthy. Mermaid Dalni originates from the only landlocked New England state: Vermont. Although there's no ocean front, Lake Champlain's beautiful beaches bring the wonder of the sea to everyone. Mermaid Dalni grew up loving all things magical, and mermaids have always held a special place in her heart. From toys and books, to movies and legends, Dalni loved all things having to to with mermaids. She created her first cloth tail at the age of 18 and from her first swim, when she saw fish swimming gently along side her, she knew that this would be what she wanted to do. Mermaid Dalni has continued on to create an ultra realistic swimmable silicone prosthetic mermaid tail. She uses this tail for appearances and performances, and is currently in the process of creating more molds for Dalni Tails and completing her second tail. Mermaid Dalni is certified in AED, CPR and advanced childcare through the American Red Cross. As of June 12th, 2016 she was PADI Scuba certified. She is able to hold her breath for long periods of time, with a dry breath hold record of over three minutes, and can perform tricks underwater such a spins and bubble rings.